Backlight Master Drive: This master drive is a backlight boosting technology that expands the contrast and brightness of the image. It operates using special embedded algorithms that touches on the discrete LEDs allowing the image to acquire deeper blacks and brighter whites. Side note: The pixel sorting algorithm must be quite complex as it has to take into account 8.30 million pixels into an array and sort this array, compare, and put into display. Sony engineers probably must keep the complexity of this to a minimum. X1 Extreme Processor: To start off, the new X1 chip has over 40% more real-time processing power then the previous chip. The processor is now equipped with a database containing thousands of images that are used for runtime comparison that allow enhancement to the image you see. This goes beyond what we expect from a TV. Now our TVs are being engineered with powerful enough CPUs that leap into into the world of computer vision. Computer vision is used in robotics for autonomous controls and typically uses images from database that resemble the environment the robot is put into in order to make intelligent decisions. This is normally called topological visual mapping and is similar to what our TV are being engineered to do. The new Sony’s however, use it to upscale to 4K and reduce noise from image. Side note: I wonder if the engineers at Sony are using ROS operating system with OpenCV in order to achieve this. Very common in the robotics industry. Great job, Sony. Android TV: Running Android 6.0 Marshmallow, the new OS allows user to interact with their TV using voice commands and incorporate a better smartphone/TV duality. Other Feature: Object-based HDR re-master, dual database processing, and Super Bit Mapping 4K HDR, which analyzes images in each scene and corrects color and contrast of each object individually. In the previous Sony flagship TV, local dimming was controlled by zones with several LEDs, now discrete LEDs control the dimming and boosting of LEDs individually. To add, the optical design of the new TV now allows better dynamic range and means that we no longer have to give up color purity and brightness for the black levels. The new XBR75Z9D and XBR65Z9D are available for presale as of this moment and have an expected delivery for the end of the summer. The price for the Z series 65-inch is going to be $6,999 and the 75-inch will have an expected price of $9,999. 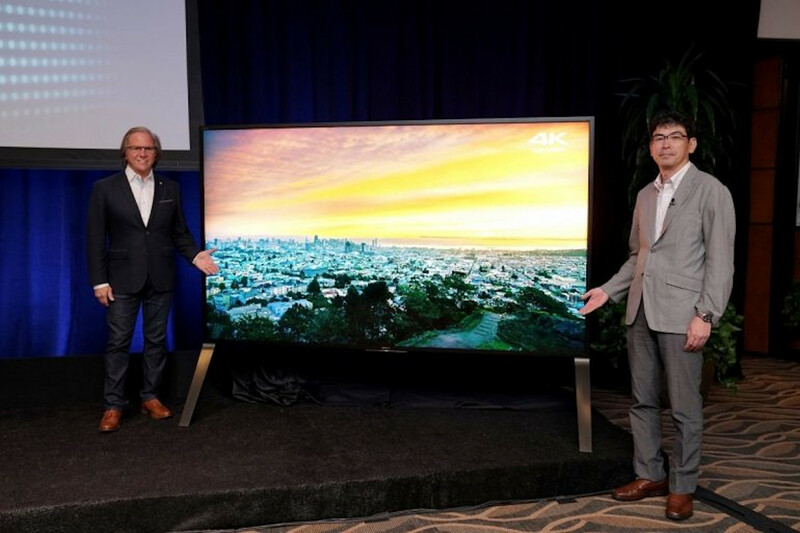 The new Sony flagship 4K HDR Ultra HD TV Z series is a giant leap forward for mankind. With a newly engineered CPU, 40% more powerful then previous model, the new Sony flagship television will sure blow one away. The addition of a database that compares thousands of images, the Super Bit Mapping technology, and the Backlight Master Drive, makes the new Sony Z series an outstanding piece of engineering. With this said, I think the new Sony Z series is ahead of the race in the 4K television industry.